Welcome to Pro Image Sports, the fun, fast-paced world of sports fan stores. Join our owners, working in a multi billion dollar industry you are passionate about. College and professional sports dominate our culture. Sports fanaticism is growing by the day. Customers seeking fashion or fan gear find their way to Pro Image Sports stores across the nation. The answer to what you’re going to do with the rest of your life is a few clicks away. 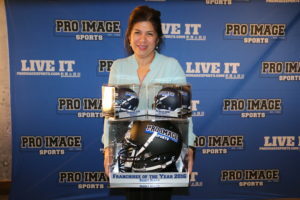 Pro Image Sports franchise owner Danny Felix is a prime example of the new American dream: to balance success with family and happiness. He started his career in sports retail as a teenager and worked his way up from clerk to manager to store owner. Don’t just take our word for it, see what our franchise owners have to say. 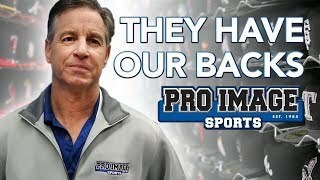 Pro Image Sports is more than just the best sports product franchise opportunity available for small business owners, Pro Image Sports is a family. When you take the step to open an Pro Image Sports retail store that allows you to sell officially licensed products from the NFL, NBA, MLB, NHL, NCAA and more -- you get advice, support, and help from all the members of the corporate team. 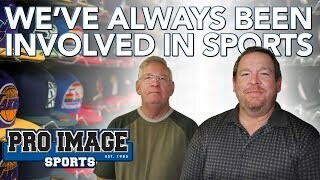 Is this video various Pro Image Sports franchise owners from around the nation discuss how the corporate support they received has helped them be successful in their businesses. Why choose Pro Image Sports as a business opportunity? Gagan Singh from Stockton, California shares his reason why owning his own sports franchise made for a great business opportunity. Why choose Pro Image Sports as a business opportunity? Konnor Propst from Denver, Colorado shares his reason why owning a sports franchise made for a great business opportunity for his family. Why choose Pro Image Sports as a business opportunity? Larry Roche from Farmington, New Mexico shares his reason why owning his own sports franchise made for a great business opportunity. Why choose Pro Image Sports as a business opportunity? Alyssa Wappes from Charlotte, North Carolina shares her reason why owning her own sports franchise made for a great business opportunity. Why choose Pro Image Sports as a business opportunity? Danny Felix from Ventura, California shares his reason why owning his own sports franchise made for a great business opportunity. Why choose Pro Image Sports as a business opportunity? Gary Bruce Jr. and Sr from North Carolina share their reasons why owning their own sports franchise made for a great business opportunity. Why choose Pro Image Sports as a business opportunity? Mark Dobbins from Florence, South Carolina shares his reason why owning his own sports franchise made for a great business opportunity. Open your Pro Image Sports store in a fast-paced regional mall that sports fans flock to. Our expert corporate support will help you find the perfect mall in your area. Live in a market without a mall? No problem. Bring a Pro Image Sports to the people of your town and save them the hassle of driving to the Big City for their fan gear. Get started FAST, schedule a call with our Franchise Sales department to learn the next steps in owning your own franchise. Fill out the contact form below and we will reach out to you within 48 hours.